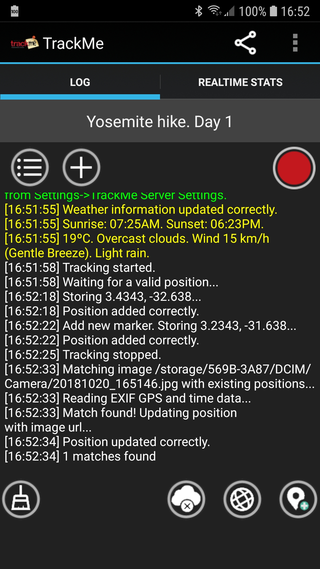 TrackMe is a GPS/WiFi/CellId tracker. Now includes Stealth mode! 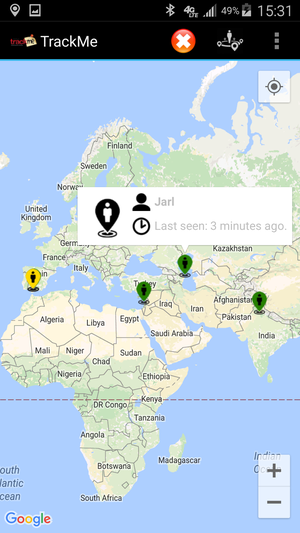 Do you want to know where a person is by sending a hidden sms message from another phone? Highly customizable. It uses the location services on your phone to retrieve your current position. 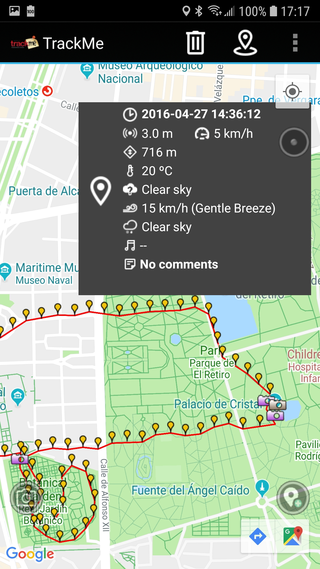 That information is later used for displaying routes (realtime or pre-recorded) with Google Earth, Google Maps, directly from your phone or our viewer developed by TrackMe's community from any device or operating system. Works with or without internet connection. Upload your data later once you have internet access. 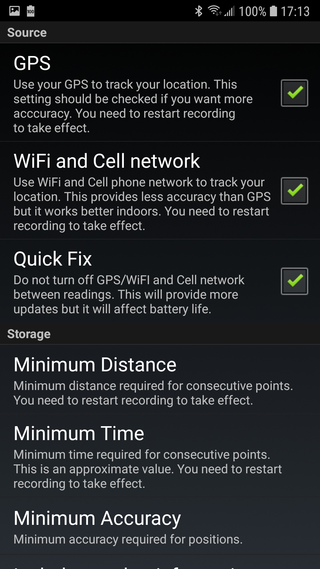 Export your data to other formats and start or stop tracking using text message from other phones. 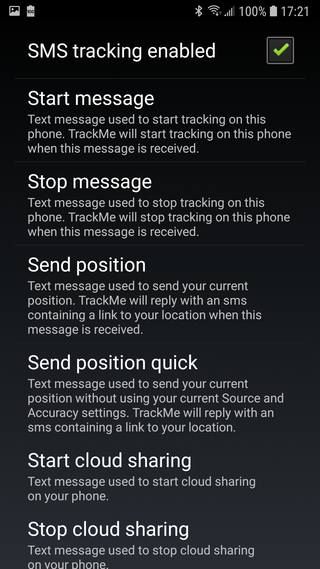 Stealth mode: Start/stop tracking or send your position by sms by sending text messages from other phones without having TrackMe installed. 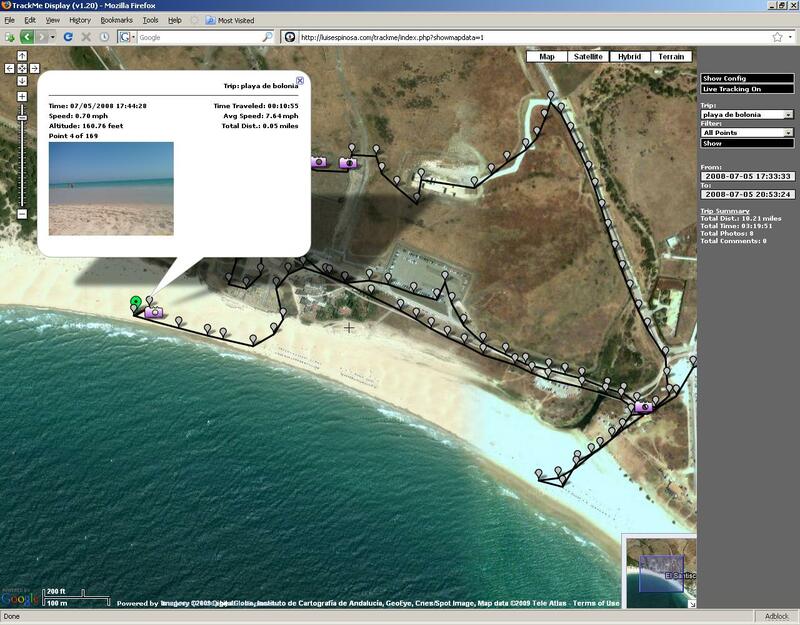 Live tracking on the phone or using the web. 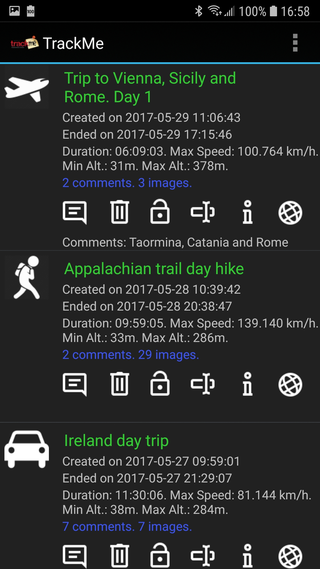 Add comments, images for your routes. Force updates at anytime including a comment and/or image for important places that you want to remember. 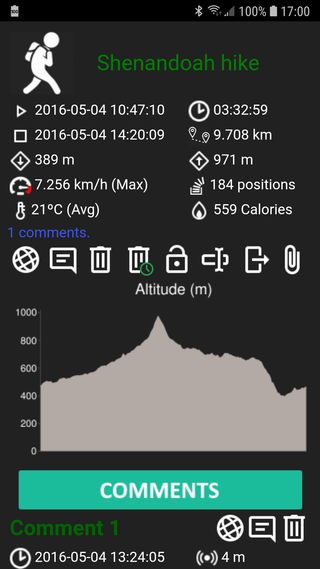 Manage your routes. 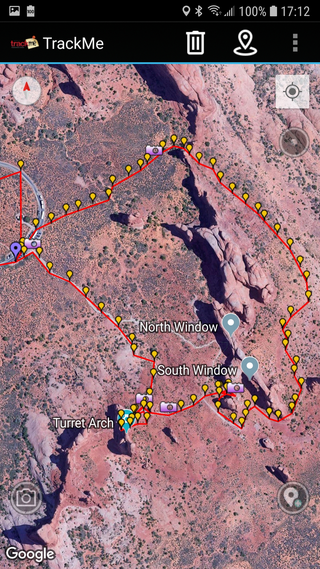 See summary and useful information for each route. 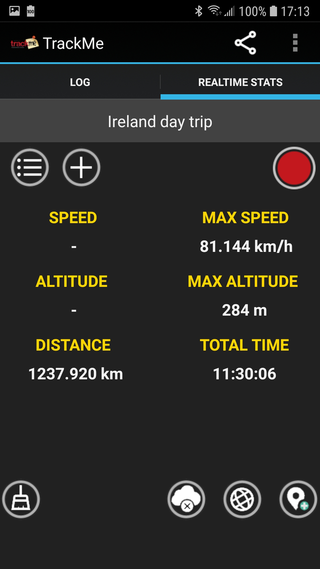 Upload your pictures and TrackMe will match them with your existing data automatically by using their internal properties. Use my own server free of charge or your own. 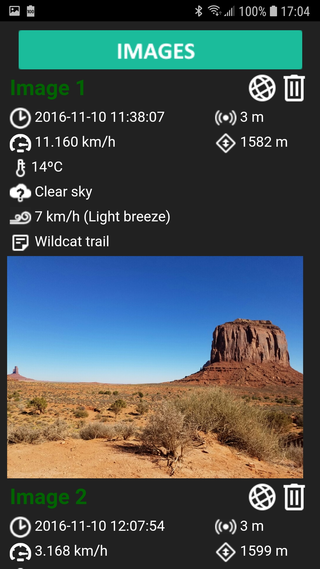 TrackMe already provides a server that can be used free of charge by any user. However, if you want to use your own server, you can use the installation package that jcleek created for TrackMe. You can if you like my tools and games. That's a good motivation for future developments!